whistlestop off Interstate-10, baking under the summer sun. In the winter, the temperature is pleasant in the daytime, and a little chilly at night. That doesn’t stop the mass migration to the area. 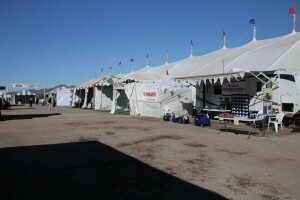 It’s suggested that perhaps a million snowbirds visit the shows that have made Quartzsite famous. That may be an overstatement, but there are a lot of people. Sun loving folks keep busy visiting the abundant flea markets, rock, mineral and gem shows, craft shows, car shows, and the monster RV and vacation show. 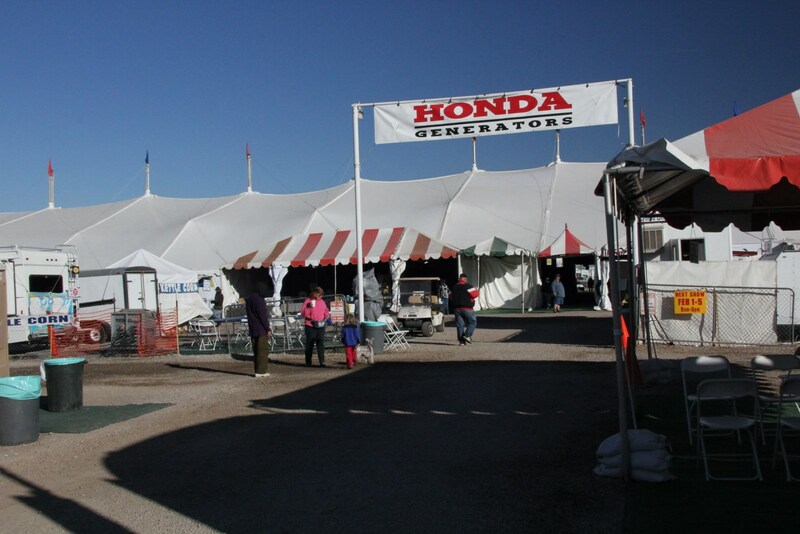 The RV show’s 240 display booths are displayed in a 650-foot long tent and have almost anything you’d ever want for your RVing fun. You can have some of the items you purchase installed on your RV in an outlying tent garage while you stay inside and enjoy the show. 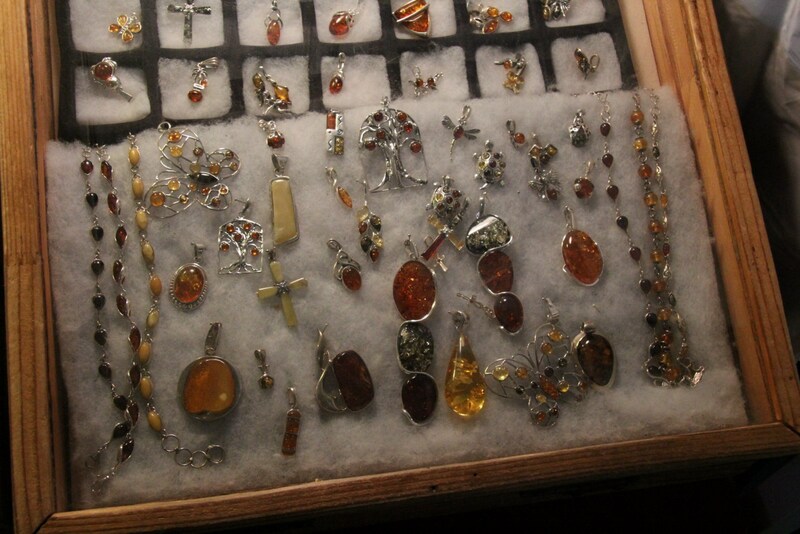 On both sides of the interstate a conglomeration of booths display rocks, minerals, gems, in fact, there are piles of things you never knew you needed. 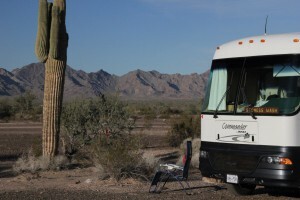 One of the greatest attractions to the Quartzsite area is the free camping in the desert. The Bureau of Land Management (BLM) has set aside over 10,000 acres of desert just for you, and upwards of 50,000 RV’s take advantage of it. The facilities range from only a place to camp for a few days with no charge, to a modest US$40 for two weeks, or US$180 for seven months with a few services available, such as dump station and water. You should check on these prices as they may be higher for the 2017 winter. 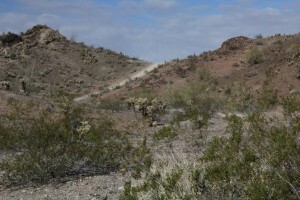 In the past, traffic entering Quartzsite in the winter has frequently created massive traffic jams stretching back along the highway for miles. Road improvements were made, but I suggest that you stay at one of the La Posa Long Term Visitor sites south of Quartzsite along US-95. 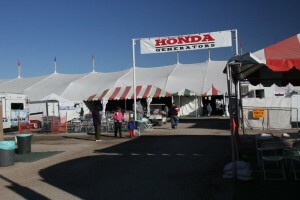 Drive in to the show in the early morning, and park in the RV show parking lot. Leave early, and you will be heading south in light traffic. The new road improvements did not totally cure the traffic problem. Often, early in the day until noon, the opposite lane will be stop and go traffic moving towards Quartzsite. Part of the blame for choked traffic falls directly on the RVer. Instead of stopping at the white line where there is a red light, many proceed out into the intersection. Traffic ahead may stop moving, the light turns to red, and someone is stuck out in traffic. And then nothing moves. There are many things to see at Quartzsite in the winter. There is a big mineral and rock show and some very nice pieces of jewelry are sold there. Along the streets are a few flea markets, but not near what there used to be. Apparently the city ‘cleaned up’ and many vendors left, since they couldn’t afford to stay. They are sadly missed. 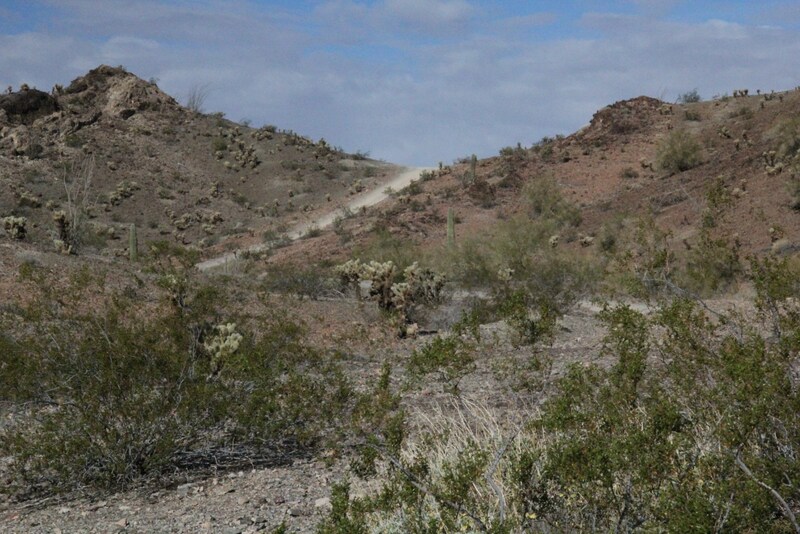 In the area around town you can explore with your 4WD vehicle into some of the old mining areas. Road tend to be rough and not maintained. Go, enjoy, and return again next year.